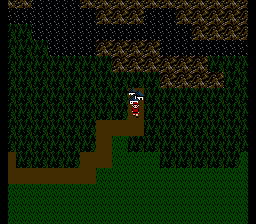 A completely new Zelda II adventure! Long ago, a curse was cast upon the land of Hyrule. 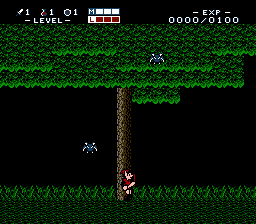 This darkness gave rise to the minions of Ganon, allowing them to overrun Forests, Towns, and Meadows. 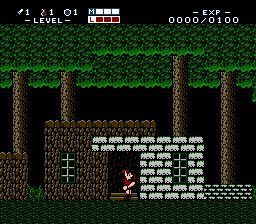 Deep within the forest lives our young hero, Link. 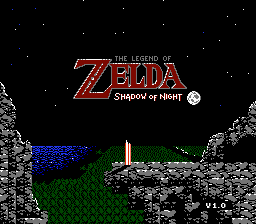 Guide Link across the vast Kingdom of Hyrule, and defeat the ominous shadow! Life spell costs 50% less magic at all levels. 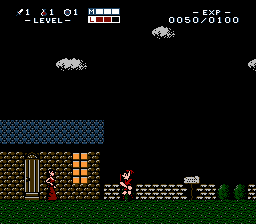 Beginning town has a magic refill lady. Life spell costs 50% less magic at level 8. While the majority of the hack was done by me, there are new surprises to find thanks to the efforts of others. Trax helped out a lot with programming and created a new spell! He also helped with improving enemies to make them more fierce! Beware of the bots. :P Enjoy the new Overworld Music thanks to optomon. He composed it perfectly and it really enhances the Zelda feel! To everyone that helped, THANK YOU! Trax, JaSp, HylianFox, ocw, Dwedit, Ice Ranger, Jigglysaint, Googie, optomon.